Elizabeth Warren unleashed a verbal barrage at Wells Fargo CEO John Stumpf on Tuesday, calling the embattled bank boss "gutless" and demanding he step down. 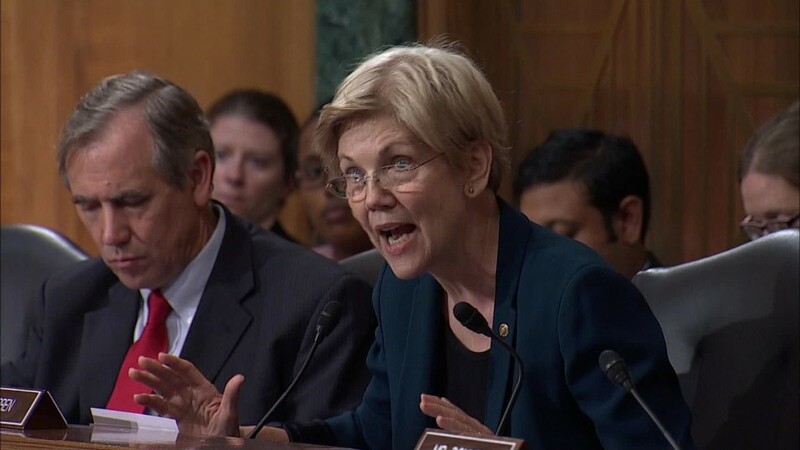 "You should resign...You should be criminally investigated," Warren told Stumpf during a fiery one-sided exchange at the Senate Banking Committee's Wells Fargo hearing. Warren, a vocal critic of big banks like Wells Fargo, demanded both the Department of Justice and SEC criminally investigate Stumpf for his "gutless leadership." Last week, a U.S. official told CNN that the DOJ has issued subpoenas to Wells Fargo. 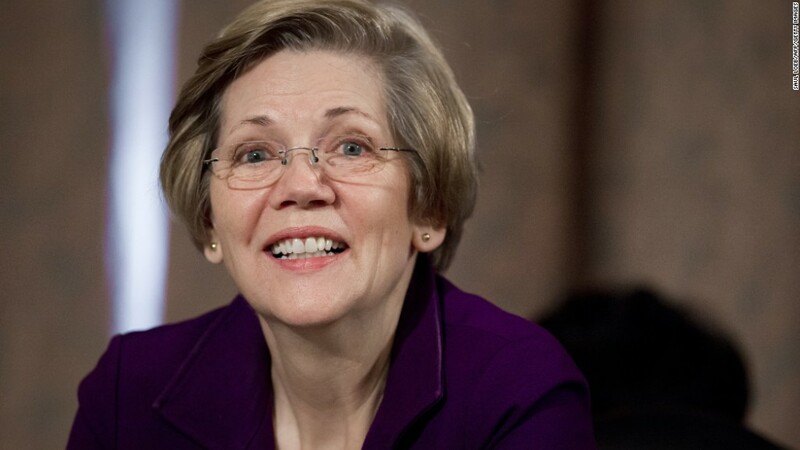 Warren's diatribe was the most forceful condemnation yet of Wells Fargo (WFC) over the millions of fake accounts that the bank created over several years and 5,300 employees that were fired over several years. The Wells Fargo CEO seemed caught off guard by the intensity of Warren's comments and was barely able to get a word in. Stumpf has apologized for the scandal and on Tuesday admitted the bank didn't do enough to stop improper sales. He also detailed new steps to try to assess and limit the damage, including expanding an internal search for fake accounts by two years. Warren slammed Stumpf for failing to fire any senior executives linked to the scandal, while Wells Fargo's aggressive sales tactics helped pump up the bank's stock price. She said Stumpf's personal holdings of Wells Fargo stock increased by more than $200 million while the fake accounts "scam" was going on, thanks in part to the bank's success in selling tons of products to customers that they didn't need. "You squeezed your employees to the breaking point so they would cheat customers and you could drive up the value of your stock and put hundreds of millions of dollars in your own pocket," Warren said. Warren also knocked Stumpf's refusal to take a stand on clawing back the compensation of Carrie Tolstedt, who led the Wells Fargo division the entire time the scandal was going on. Stumpf said he would leave the matter up to the board's compensation committee and respect whatever decision it makes. "If you have no opinions on the most massive fraud that's hit this bank since the beginning of time, how can it be that you get to continue to collect a paycheck?" Warren asked.